As 2014 comes to an end and the New Year approaches, its hard to not look back and reflect on the years past. The beginning of a New Year is a transition time for most, a time in which we recount where we have been and where we want to go. For iBeacon technology, 2014 was definitely a strong year. From Target to Apple Stores, beacons are popping up everywhere. Within the retail advertising space, beacon technology is the new ‘it’ thing. Currently, it is hard to find a national retailer that is not experimenting with or already using iBeacons in their stores. Macy’s has already installed beacons in all of its 840+ department stores. Experts estimate that the number of beacons is expected to jump from 50,000 being used now, to between 5 million and 10 million next year. All facets of the iBeacon industry, from the hardware manufacturers to app developers utilizing the technology, experienced explosive growth. Copycats and spinoffs of iBeacons are already evident; Samsung Proximity and mesh beacons are just a few prominent examples. Although beacon technology is in no way new, 2014 was definitely the turning point for the industry. For all the visual learners out there who grasp ideas and concepts better with images, I invite you to take a look at the graph below. The graph is direct from Google Trends, a platform that allows users to analyze trends on a national and global scale based on the amount of times a particular term was searched on Google. 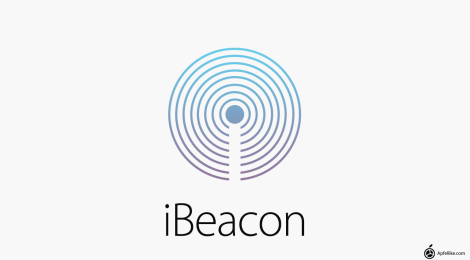 Apple quietly announced iBeacon integration into iOS 7 on June 10, 2013. The search term ‘iBeacon’ skyrocketed from practically nothing in September 2013, to 100 in July 2014 on Google Trends’ scale (Google graphs interest over time with a number between 0-100, with a term receiving a score of 0 when there is no data and 100 being the highest. Read more about Google Trend graphs here). In other words, iBeacons are hot and retailers and advertisers are all over the technology. The rate of adoption is rising rapidly, even though the majority of population is still coming to grips with what it is and what it does.Most shoppers that are familar with the technology and not exactly thrilled about beacon-enabled apps asking for permission to monitor thier location. Some find it creepy (remember the Titan phone booth fiasco in New York City?) but yes, widespread acceptance will take time. Being transparent and open about the technology, its limitations and allowance, will allow the industry to continue mounting on its success and enjoy explosive, unhindered growth well into 2015. 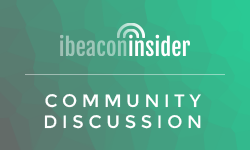 ← Will Apple’s iBeacon transform the way retailers gather feedback?